This dip is great! thanks for the recipe! 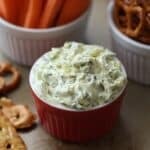 I'm a real pickle junkie....so I have to try this dip! Just got done making this . . . After a taste or two (? ), and with great strength, I was able to put almost 3/4 of the dip in the fridge to chill per the instructions!!! I used a small shallot (what I had on hand) instead of the yellow onion and added a few tbs of sour cream to thin it out. You know, it's been in the fridge for over ten minutes, maybe I should go check it again! Thanks for the great recipe. Could you make this with a dill pickle relish? You certainly could do that. However, you will miss out on the little chunks of pickle in the dip. You'd have to play with the amounts/portions and find what works best for your tastes. My granddaughters were to be here yesterday afternoon, and always want an after school snack. Since they really like ranch dip, I figured this would be a winner. It was! I almost didn't get to take a photo! Excellent recipe! The pickles add such a nice crunch. Definitely better after refrigeration and goes great with veggie chips! What a great recipe! I'm crazy for dips and appetizers. I can definitely see me making this. I make this with sweet pickle relish. It is really good. It never lasts more than a day or two. 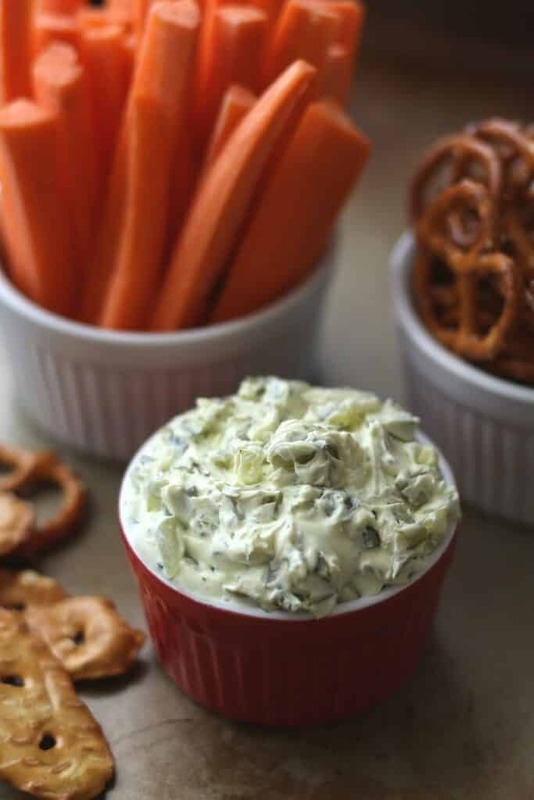 Your Dill Pickle Dip was made for the first time last night, and believe me, it will not be the last. It was fabulous. I had a southern themed menu planned, including smoked chickens, slaw, and southern baked beans. Your pickle dip just screamed to be made for this meal, and there were 4 happy tummies indeed. 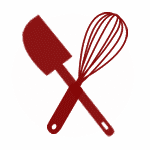 Our 2 guests raved, demanded to know where the recipe came from, and one of then basically depleted the whole bowl. Thanks for bringing a little "happy" into our Saturday evening at home. We are addicted to this dip! I wonder if you could use dill relish to make this recipe? 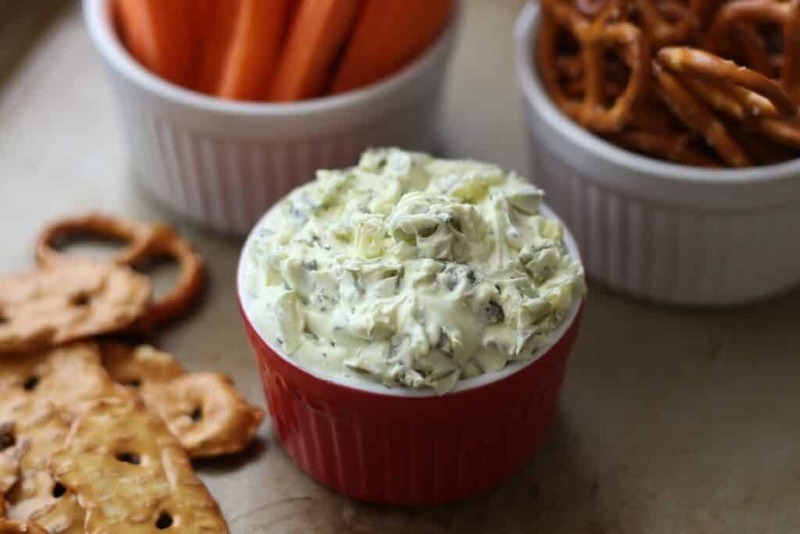 You can use relish, however, you'll miss out on the bigger pieces of dill pickle and the flavor isn't quite as strong. I tried it once with relish and it was tasty, but in all honesty, it was nothing like the original. It only takes a few minutes to chop up the pickles and it does make a difference. Do you use the kosher dill pickles or the sour dill pickles? I think the difference is the garlic in the kosher. I'm so excited about making this dip for some friends who are coming to dinner tomorrow night, I want to get it right. Thanks! Just got finished making it, using dill relish since the jar of pickles in the way, way back of the upper cabinet was NOT the dill pickles I thought it was, but bread and butter ones. :-( So, I used dill relish----the full 1 and 1/2 cups the recipe called for---even though my instinct was to use just one cup----and it was VERY soupy, so I added a small container of Greek yogurt I had to thicken it up. (No sour cream in the house....) It tasted great, but I WILL use less dill relish next time I make it. I don't actually recommend substituting pickle relish for the chopped dill pickles, for exactly the reason you noted. The dip turns out much "soupier" when made that way. If you do make it again using relish, definitely reduce the amount. If you make it using chopped pickles, you'll see the difference. I'm glad it still tasted great! My dad and I used to stuff celery with cream cheese mixed with pickle juice!! I made this tonight and it was much better than I thought it would be (and I obviously thought it would be good, since I chose it). A great way to get the family to eat more veggies. Thanks for a great recipe!